Patients often ask exactly how does acupuncture work? One of the most common questions i hear when conducting a consultation is “How does Acupuncture Work?”. The idea behind Acupuncture can be very technical, but in this blog post i will attempt to explain in a manner that will not give you a headache! But if it does we can help you with that also. Acupuncture practitioners look at the body like a series of pipes circulating blood, nerves and energy throughout the body. When one of these pipes (known as a channel) becomes blocked or impeded, then pain, numbness or tingling can be felt. By inserting tiny needles into the correct channel, we can unblock the problem or stagnant pipe and allow a smooth pathway to flow again. Once this happens the pain or sensation will cease and the area will function correctly again. Is one of your channels blocked? A great example of this working is when I treat sciatica. 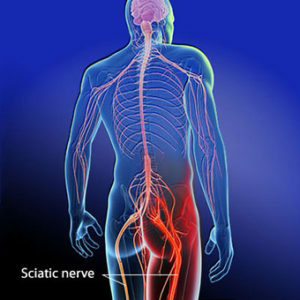 The sciatic nerve becomes impeded from passing through its normal pathway. This blockage causes tightness in the muscle and pain. I often have to target two channels to cure this problem and once these two pipes are unblocked, the pain disappears and the muscle relaxes and functions like normal. This is explaining how acupuncture works in the simplest form. However, this simple approach can be so effective when treating pain. Tension-type headaches are the most common form of headache. Doctors can often recommend acupuncture for headaches as it is listed as being effective by the WHO (World Health Organisation. The symptoms are normally tension or pain felt around the temples, behind the eyes, and/or on the sides of the head. There may also be neck tension which can lead to discomfort in the base of the skull. Stress is considered one of the leading causes of tension-type headaches. It is also a leading cause for many health concerns and so reducing it can only be a good thing. Acupuncture is fast becoming a well known treatment for headaches and stress, it is normally the headache relief that it is sorted out first by the patient and then whilst having acupuncture they realise it can help stress as well.. Acupuncture will take the tension out of your head and in turn take the tension out of your mind. You will also feel very relaxed whilst having acupuncture and this can give you a much better mental state to help you in your daily life. There can be a lot of uncertainty as to how acupuncture for headaches is applied. In most cases the treatment involves placing tiny micro needles to the lower leg and not into the head directly. Headache relief is also normally experienced instantaneously. Bournemouth Acupuncture specialises in the treatment of all types of headaches and tension-type headaches is just one that we see in clinic. Stress however, can be seen in every health concern, so by combating it through acupuncture can lead to a much happier and healthier life. 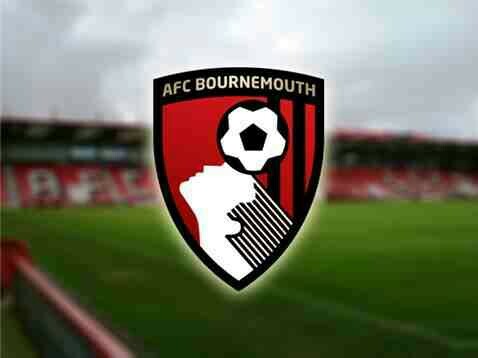 As Bournemouth Acupuncture have decided to sponsor AFC Bournemouth we thought we would let you know how successful acupuncture is in the recovery of sports injuries . Being injured can be very frustrating no matter what level of sport you play and each sport can present different injuries. However one common condition that can plague any athlete is tendonitis. This is a painful condition that can affect any tendon. Achilles tendonitis is an example of this and happens when the achilles becomes inflamed, irritated and causes pain when walking or running. If left untreated tendonitis can take a long time to heal. Acupuncture is considered one of best treatments for tendonitis, as it works like a powerful anti-inflammatory and clears inflammation away from the affected area. This is a well known benefit of acupuncture and as tendonitis is an inflammatory condition, acupuncture has become a reliable method of treatment for many athletes. We see many patients with sports injuries and a patient recently came into the clinic seeking treatment for a achilles tendon problem that had not responded to other forms of treatment. He was a skier and wanted to get back to doing what he loved. After one session it became very apparent that acupuncture was going to be able to help him. After 3 sessions he was well on the way to getting back on the slopes.